VARIETY OF FUN AND COLORFUL FASHION JEWELRY AND ACCESSORIES. 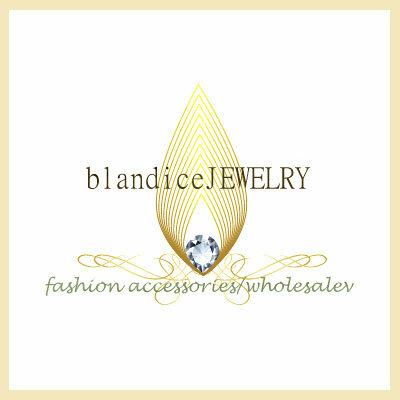 *Return Policy for Blandicejewelry-Stated below are the return policies of Blandice. Please read them carefully as they will be strictly enforced. - We no longer issue call tags due to customers not complying with UPS; hence, customers should attach the shipping cost receipt inside the returning box in order to get reimbursed for the shipping cost for the customers' next order. *Order Cancellation for Blandicejewelry-You may cancel your order within the same day the order was placed by phone or by sending a message through the Message system accessible at the top of any page before the order is processed . Once the order is shipped, you will receive, via email, a shipping confirmation that contains tracking information. Once a product is shipped, the Return and store credit Policy will apply. *Blandicejewelry,inc may cancel orders for any reason. Some common situations in which orders are cancelled may include: The item is out of stock and there are no plans of restocking it, pricing errors or credit card payment is declined by the issuing financial institution. Cancellations require authorization before order completion and we reserve the right to charge up to 15% of the value of the canceled merchandise for handling. Confirmed cancellations will be reflected in the Order Status section under Status after they have been approved.